One of my favorite things about fall is making my own applesauce. My lovely friend Sue brought over some apples from her tree, which were perfect for applesauce. In no time at all I made 3 pints of sauce. It is so easy to make and taste so much better than store bought. 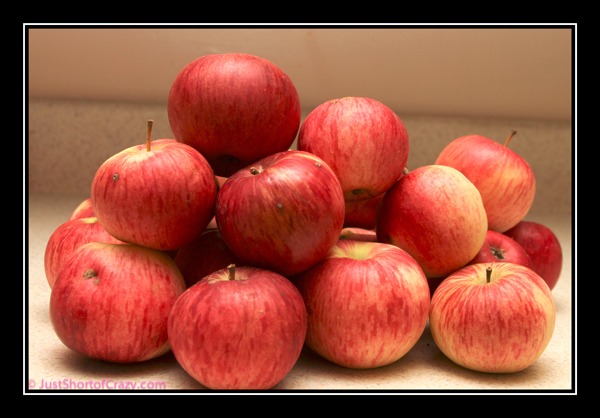 Start with a nice selection of freshly picked apples. Be sure to rinse them off. 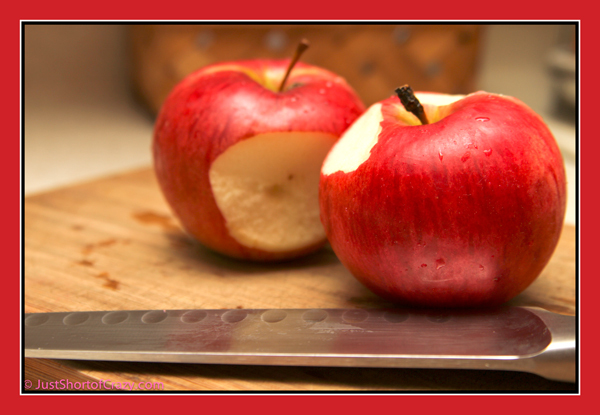 Start by cutting off any bad spots from the apples. 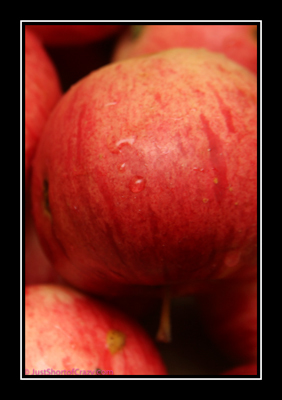 You don’t have to toss the entire apple just cut away the bruise. The rest of the apple is good to eat. 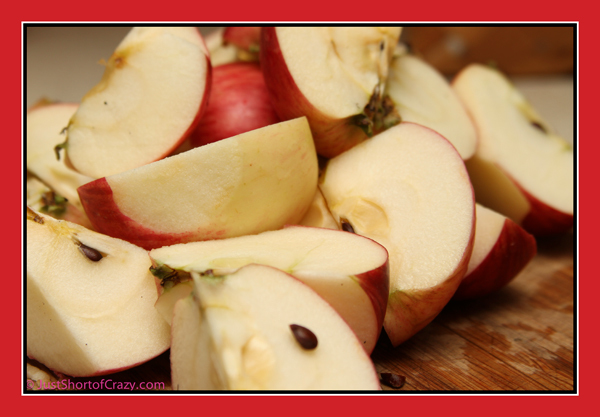 After you cut away the bad part, cut the apples into quarters. 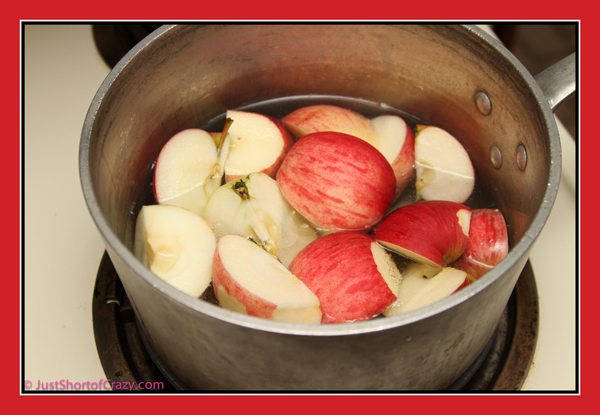 Add the quartered apples to a pan of boiling water. 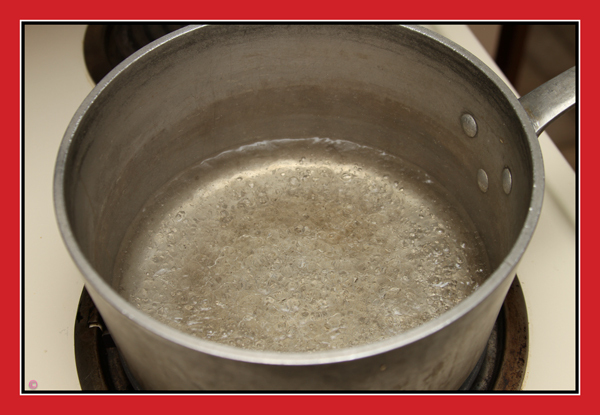 You don’t need a lot of water in the pan. Maybe about a 1/4 of the way full. Cover and cook the apples for approximately 10 minutes. They need to be very soft, the softer the better. 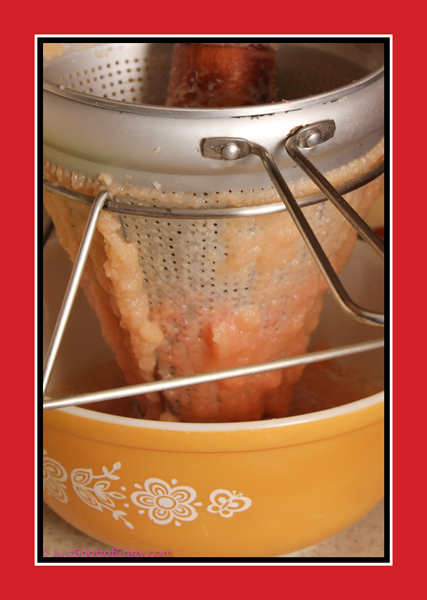 Using a slotted spoon remove the apples from the water and place in the sieve. Using the wooden dowel push the apples through the sieve. 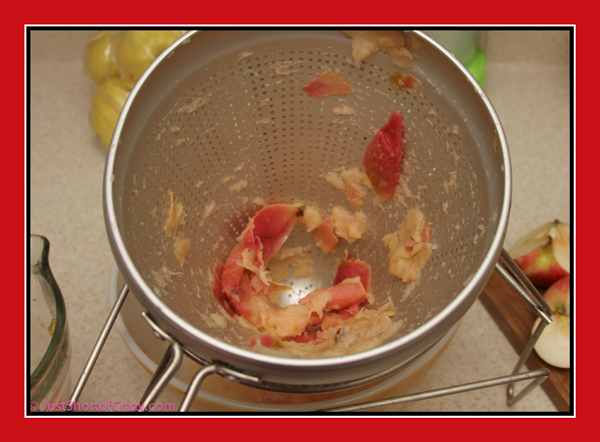 Continue smashing the apples through the sieve until you are left with just peels, seeds, and stems. Clean this out between each batch of sauce. 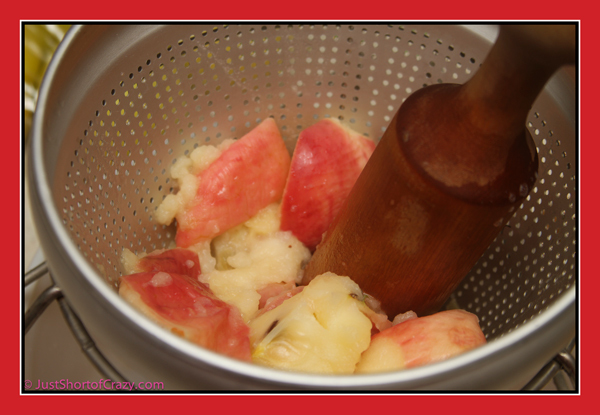 When you smash the apples through the sieve the sauce will stick to the outsides, be sure to scrape it down into your bowl of sauce. 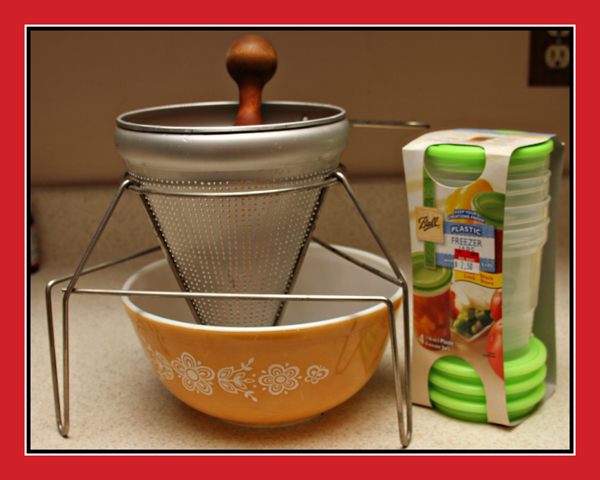 Try to resist the temptation to test taste the applesauce while making it. For me resistance is futile and I “tested” a fair share as I was making it. Geez, it is so freaking good!!! Continue until you have cooked and smashed all your apples. Add sugar, cinnamon or nutmeg to your taste. I leave mine plain and add later if needed. 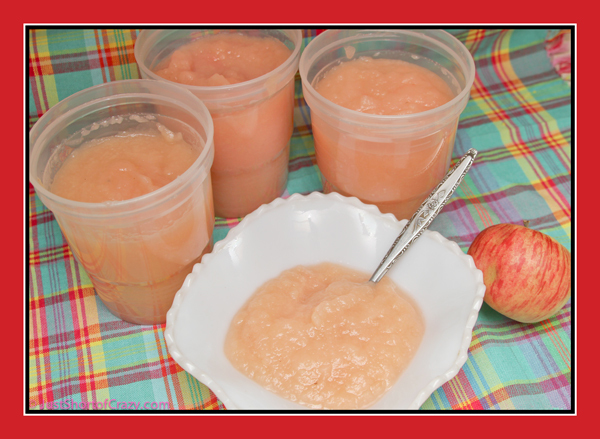 If you are going to freeze your applesauce be sure to let it cool completely before placing in the freezer. Wow – I’ve got to try this!